You know how they say first impressions are everything? The story of how Derek and Vanessa met certainly bucks that trend. Derek met Vanessa at a bar with friends when, against his better judgement, he sloppily threw a cup of ice water at then-stranger Vanessa. The story of that night may have ended poorly but fortunately Derek and Vanessa’s doesn’t. A few weeks later, an embarrassed Derek and a slightly bitter Vanessa met up again. Any tension they had quickly melted when they quickly realized how much they had in common — their love of hockey, music, and good beer. Flash forward two years and here we are on their wedding day — the ice-water incident is of course nearly forgotten (well, at least forgiven). The vows that they wrote to each other were the perfect narrative to this teaser. We could think of no better way to describe Vanessa and Derek together — sincere, heartfelt, loving, and of course, a little sassy. Derek about sums up the story of their relationship when he says he’s honored that Vanessa wanted to marry him forever because, in his words, “That’s a long time, and I’m pretty obnoxious.” Cup of ice water anyone? Congrats to these two, we had an amazing time sharing your day with you. And it was such a fantastic day; we loved working alongside the incredible likes of photographer Jenavieve Belair (we’ll do family dinner again one of these nights), florist Karen Barch Mallory, coordinator Michelle Maciel, DJ Shane Ysais DJ, Kristy Warner and Angela Smith for hair and makeup, Chad of The Socal Wedding Officiant and of course Stone Brewing Company (a fantastic place to visit, event or otherwise). 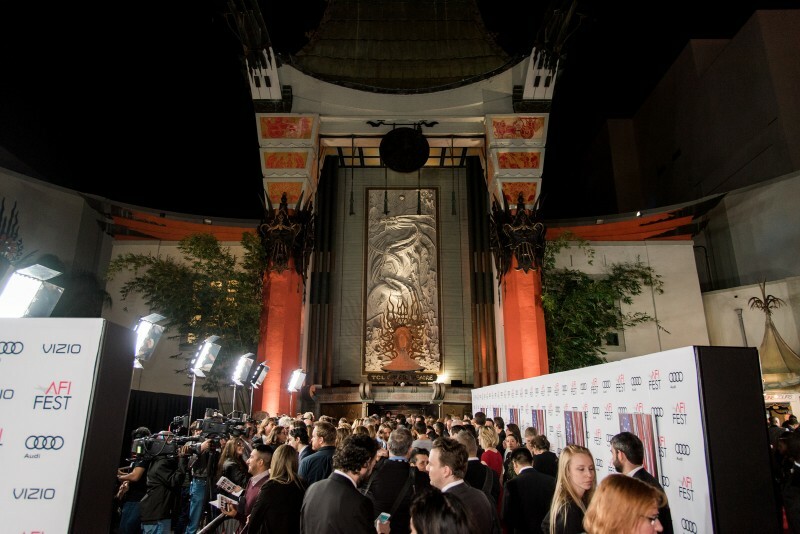 Ever wonder what goes into setting up a red carpet premiere in Hollywood? We have the low-down for you. 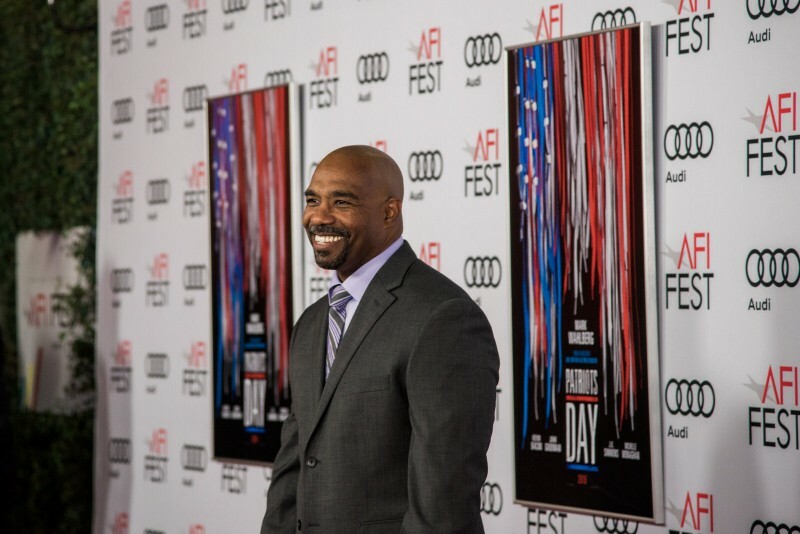 This is our third year being part of the VIZIO team at the annual AFI Fest in Hollywood and every year it gets a little easier to manage the madness of a big premiere, though it certainly doesn’t get any less crazy out there. 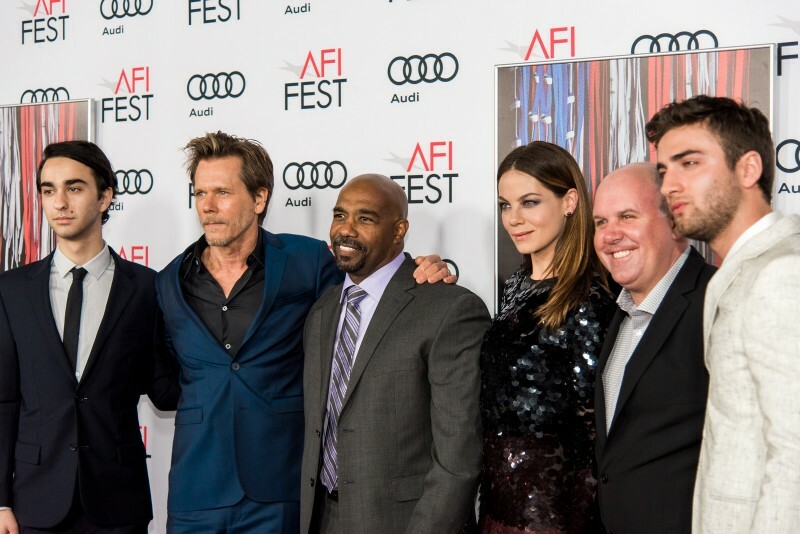 This year’s finale of the AFI Fest was Patriots Day, a deeply moving film about the grisly 2013 Boston Marathon Bombing that killed three and wounded 264. 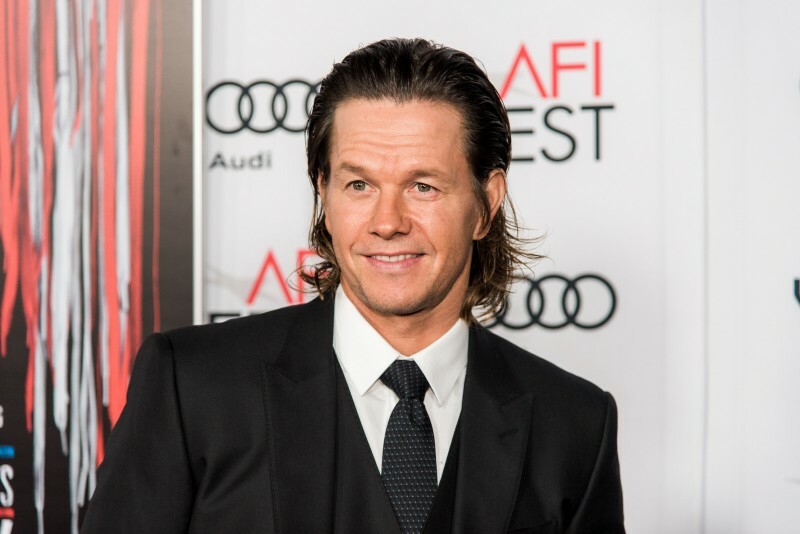 Mark Wahlberg produced and starred in the film that dwells deeply on the effects of the tragedy and the response by his beloved hometown. It was an honor to speak with the cast and crew who had the hefty task of telling the stories of the victims, responders and all those touched so deeply by the horrific attack. After the red carpet parade it was a quick run to the editing room to cut together (well, Steve handled most of the dirty work of editing) the highlight piece before the movie finished. It was certainly a long day, but another fun one for the books. Shoutout to friend and photographer Alicia Mink for the killer photos you see in the slideshow below. Thanks to Katie at the BrandAmp for running point for us throughout the event, to all our friends at VIZIO, and a much more solemn thank you to those who were at any way a part of the difficult events that transpired in Boston three years ago, for all they endured. When SAVI STYLE approached us to say they wanted Threaded Films to be a part of their brand launch, we had the same question that I’m sure many of you have right now. Savi who? Terry Leon launched SAVI STYLE this fall with the flagship product of SAVI SLEEK, a hair tie accessory that makes a pretty common nuisance – the less-than-glamorous hair tie around the wrist — into an actual fashion item. It’s sleek, looks cool, and you can wear it pretty much anywhere. Not a bad idea, right? We were actually pretty excited to be a part of it. SAVI STYLE had some big dreams for turning around a kickstarter video on short notice and we’re proud to say we’ve now made it a reality. Turning around such a polished piece with so many moving parts wasn’t exactly a walk in the park — we shot all the scenes for their kickstarter film in one day, at four different locations, no small feat. Thanks to Carl and Terry’s meticulous organization and a lot of pre-production planning in the studio, we’re thrilled to say we were able to pull it off without a hitch. Take a stroll on over to SAVI STYLE’S kickstarter page and support SAVI SLEEK before every millennial in the country has one around their wrist (it’s only a matter of time!). There are some places in Southern California so incredibly breathtaking, you forget where you are for a second. Malibu Rocky Oaks is one of those places. And it was there, perched on the top of a Malibu mountain, that Jennifer and Elliott said their vows to one another, choking back tears (there was much debate about who would cry first — spoiler: it was Elliott). As you’d expect from a doctor and meticulous planner, Jennifer had the details of the day orchestrated months in advance — hours upon hours of preparation — and it all culminated in that single instant. You can understand the emotion behind those vows — it was a pretty special moment to be a part of. There were so many awe-inspiring aspects to this day, mountaintop vista aside, between the vineyard photo sessions, live doves, monogramed ice sculptures, fields upon fields of floral decorations, incredible music, a perfect sunset, dare we go on? Really, 90 seconds isn’t long enough to share everything from that day. But here are some of our absolute favorites. A huge shoutout to Sterling Engagements Inc. for making our lives incredibly easy while at the same time accomplishing the daunting task of turning a castle on a mountain into the perfect host for a day’s worth of wedding festivities. Couldn’t have asked for better photographers than Callaway Gable , seriously some of the best at what they do. And of course we’d be remiss if we didn’t thank our friends at Make-Up Therapy, The Food Matters, Luxe Linen, Fantasy Frostings, Classic Party Rentals, A Rental Connection, Lounge Appeal, Super Cool Creamery, Matthew Evilsizor and Conscious Bean, Amber Event Production, White Dove Release, Shawna Yamamoto Event Design’s amazing floral collection and of course, Malibu Rocky Oaks Estate Vineyards for making a memorable day into an unforgettable one. Kelli and Connor — these two can throw a party. We aren’t surprised, really. Some of you may remember (well at least we do) that this isn’t the first Hall wedding we’ve been a part of. Connor’s brother Brett served as his best man— and we had the pleasure of filming the wedding of Brett and his now-wife Ashley three years ago (Throwback #1, check out the trailer here). Ashley is also one of Kelli’s bridesmaids, and makes a cameo in this newest film. And, where it all began, four years ago we had the pleasure of filming Connor’s sister Lauren on her special day with Dorian (check out Throwback trailer #2 here). So obviously we were pretty pumped when Kelli and Connor reached out to let us know they were getting married, and wanted us to be a part of it. We don’t want to make this out to be a Just-Another-Hall-Gets-Married type of day. Cliché aside, Kelli and Connor really ARE the light in pretty much any room they walk into. That much is clear from the quality (and sheer quantity, they’re very popular, as it seems) of the friends they have. Out of the hours of footage of dancing, laughing, singing, and oh so much more laughing — it was tough to pick a few moments that stood out the most. In the end, it’s the moments you’re about to see that point to why Kelli and Connor are incredible together; both of them really were just giddy that they were getting married to each other. We’d expect nothing less from the Hall family. A special thanks to Bash Please — we always love working alongside the talented girls who make the day run so smoothly and elegantly, Paige and Keith from Paige Jones photography who are out of this world talented (and a blast to work alongside) and of course all the folks who made the day such a success including the rocking crew of Rembrandt & That Vibe, Susiecakes, Mirror Mirror, Laguna Beach Presbyterian Church and the Newport Beach Country Club.